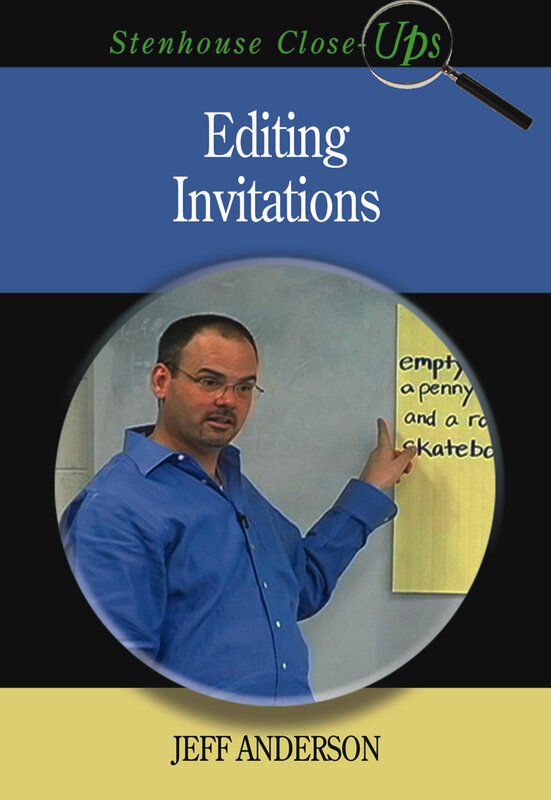 Editing Invitations takes you into Jeff Anderson's sixth-grade classroom in San Antonio, Texas, as Jeff demonstrates how he naturally links grammar instruction to writer's craft through his "Invitations to Notice." The Invitations are a warm-up activity used at the beginning of writer's workshops to help students learn to pay close attention to mechanics, style, and craft. They can be used as an alternative to Daily Oral Language for those teachers who are looking for stronger connections between writer's craft and grammar instruction. Editing Invitations takes you into Jeff Anderson's sixth-grade classroom in San Antonio, Texas, as Jeff demonstrates how he naturally links grammar instruction to writer's craft through his "Invitations to Notice." The Invitations are a warm-up activity used at the beginning of writer's workshops to help students learn to pay close attention to mechanics, style, and craft. They can be used as an alternative to Daily Oral Language for those teachers who are looking for stronger connections between writer's craft and grammar instruction. These quick exercises include whole-group examination of a sentence as a mentor text, focused practice, and discussion, all in just a few minutes.